Pcsx2 lags game. Spec Given. Any help appreciated? just downloaded the pcsx2 and have also obtained the newest version. I have tried playing Final Fantasy XII and it lags alot. Some cutscenes are ok and most of them are lagging, the audio too. Are there any improvements i could make to the software or hardware to further support pcsx2 gaming or shall i try other games? Okay... I'm just going to be frank and say that that is an incredibly old computer and you'll need to upgrade your GPU, Mobo, and CPU before you can use PCSX2 at playable speeds. Get a new one. Build one DON'T EVERY BUY A PREBUILT ONE. You have to realize he also has a much older architecture; his CPU was released in 2004 while yours was released in 2007. That, and he has a horrendous video card that came out who-know-when-somewhere around 2004 in which he would probably get about 60FPS on PC games with the same quality as the PS2 games being emulated. 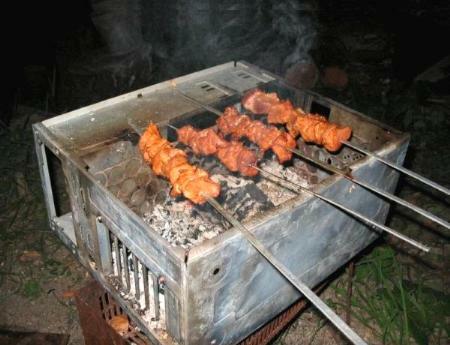 Yh i kinda knew id get a grilling for trying to use an ancient machine. I might have a crack at rebuilding myself with a new motherboard, cpu and etc. Any good products i can buy that would help me meet the spec of pcsx2?